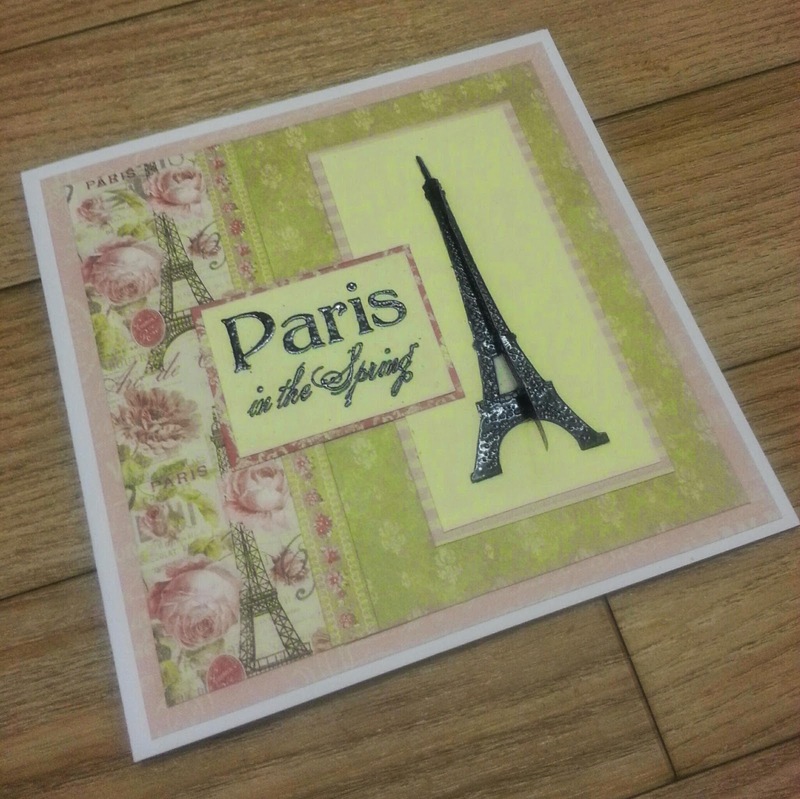 1) Get the Sweet Paris 6x6 paper and cut a strip that is 5cm x 13cm from the rose and Eiffel tower paper, then cut a strip that is 9cm by 13cm from the green fleur de lys paper. Finally from the rose and swirl striped paper cut one strip that has two swirls either side of the roses. Place the green paper so that it overlaps 1cm of the paper with the Eiffel tower and roses (the width should be 13cm - 4cms of roses and 9cms of green fleur de lys) put the strip over the join. 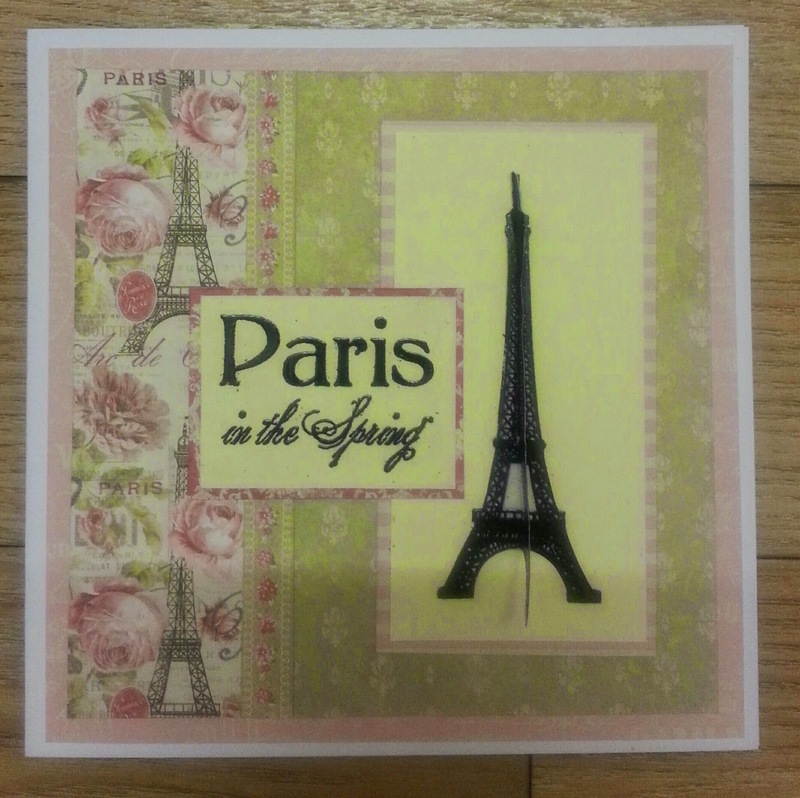 2) Cut a piece of ivory card that measures 2 inches x 4 inches and load up the Eiffel tower stamp from the do craft sweet Paris cling stamp set with Memento tuxedo black and stamp onto the card. 3) Get your plain vellum and using the Eiffel tower stamp load it up with versamark and stamp it on to the vellum, repeat this again so that you have two Eiffel towers. 5) Once the embossing powder has cured use a good pair of craft scissors to cut them out, fold them both in two with the embossing on the inside - take time as the fold needs to be accurate. 6) stick the two halves together using adhesive and then line them up on the ink stamped copy of the tower. Voila a 3D eiffel tower. Using the pink and ivory striped paper create a border around the tower on the ivory paper. 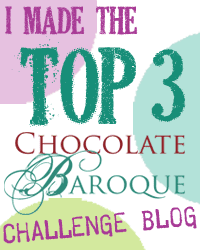 7) Cut a further piece of cream card that is 2 inches by 2.5 inches, using the chocolate baroque stamp with the sentiment "Paris in Spring" load it with versamark and stamp onto the card. 8) Using the WOW Ebony embossing powder apply to the ink, shake off the excess and using the heat tool emboss it. Take the sentiment and mount it onto the pink paper that has a white pattern of flower swags. 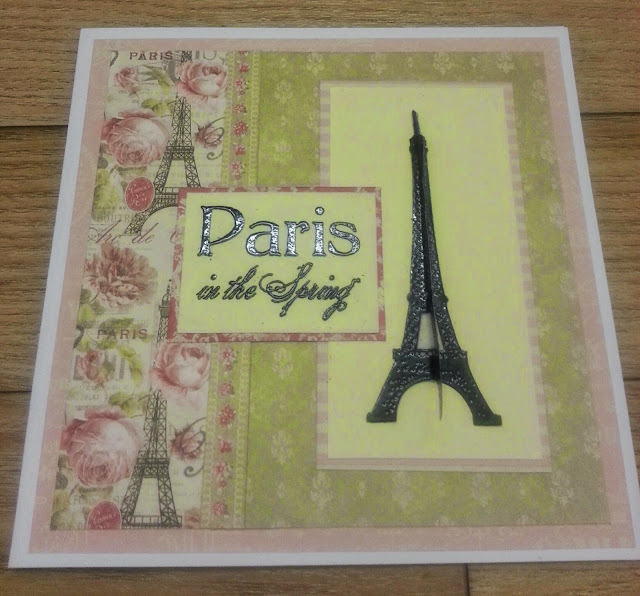 9) Build up the card using a 14cm x14cm background from the sweet Paris paper pack, I choose the pale pink with the white swirly writing, then add the background you made in step 1, and then place to the two pieces of ivory card so that the sentiment slightly overlaps onto the card that has the Eiffel tower.